For over 100 years the O'Hara Corporation has operated fishing vessels across both the Atlantic and Pacific Oceans. Starting in Massachusetts, Francis J. O'Hara began building his sailing feet in 1903; after four generations, the process continues. 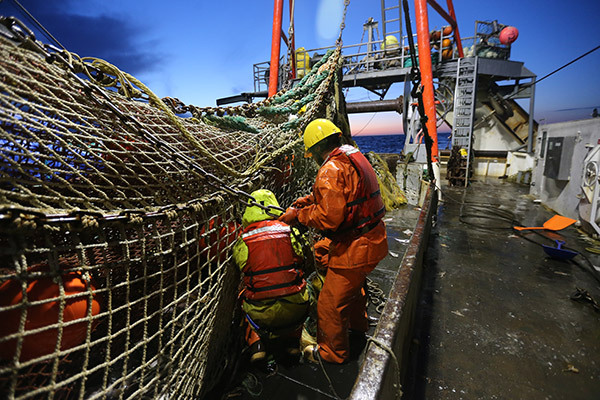 Our fishing vessels can set seine net off the Coast of Maine for herring, participate in the scallop fishery out of New Bedford, Massachusetts and catch, process, and freeze flatfish, cod, and pollock in Alaska. The heart of O’Hara Corporation surrounds the catcher processor vessels out of Seattle, Washington. Learn more about us by exploring our employment, products, and fleet pages. Apply for an Alaska Fishing Job Today! The orientation process will take approximately 2 hours. Late arrivals are not permitted once we start an orientation. Interviews are conducted at the end of the orientation. Submitting an application or attending an orientation is not a guarantee of employment. New crew are hired based on the needs of our vessels. The O'Hara family has been in the maritime industry for over a century. View our Timeline and learn the full history of the company. Have you thought about working onboard a catcher processor? Come to our orientation and explore the opportunities available. We're looking for people who have what it takes to work onboard. View open positions for Alaska Fishing Jobs.